Doing a preliminary waste clearance of your household or company office can immensely decrease the costs of the upcoming removal. This is an excellent way to dispose of old junk you do not actually need and reduce the amount of items that need to be transported during the actual relcoation. |Our company employs a dedicated London rubbish removal team and we provide garbage collection services of the highest quality both in bundle with moving services and as a standalone option. We are currently among the leading junk disposal contractors in London due to the fact that we have a rich history of successful projects behind our back. The magnitude of your waste clearance job won’t be an issue as we have the manpower and technical capacity to easily and swiftly handle even the most laborious and demanding projects. We also have the knowledge to quickly solve all potential hiccups that may occur during the execution of your London rubbish removal. After all it is not a fluke that to date we have always managed to complete the jobs for which we have been hired. 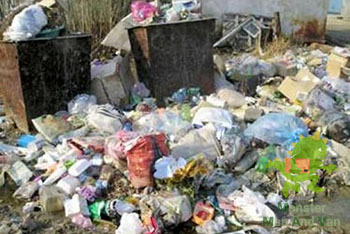 We are also licensed to work with all garbage depots in the city, including recycling facilities. This means that we will sort out your rubbish and take for recycling whatever can be reused and dispose of the rest. Keep in mind that we lack the authoritisation to collect hazardous, toxic and chemical rubbish. Our team of waste clearance technicians is experienced and hard working and won’t hesitate for a second to go to the next level and work round the clock if your project demands it. In many ways it is because of our workers’ competence that we have become the successful company that we are today. So, rest assured that our specialists will handle your waste clearance in London responsibly and diligently. You can also contact us at any time if you are looking to rent one of several skips. Our bins are approved by the local authorities and can be used for the storage of the aforementioned types of rubbish. They range from extra small (2 cubic yards) to extra large (14 cubic yards) and can be provided to you with a cover just in case you are planning to keep waste that emits unpleasant odors during decompositions. Our rentals fees just like our garbage collection rates are affordable and are also calculated in full accordance with the one of kind specifications of each job for which we are contacted. We invite you explore our company website in order to learn more about our company, services and work methods. Also feel free to give us a call or send us an e-mail with inquiries. Our customer consultants will happily answer to your questions and present to you your free quote which will be base on the parameters of your project. Our company operated throughout London. The city is home to the British Museum which is the fourth most visited museum in the world with an estimate of 6.8 million visitors. It was founded in 1753 and has a collection of over eight million objects. The Tate Modern is another high-profile London museum that is visited by millions of people per year.